Thomson Reuters recently published an interesting infographic showing what they think will be the key compliance trends around the globe in 2016. 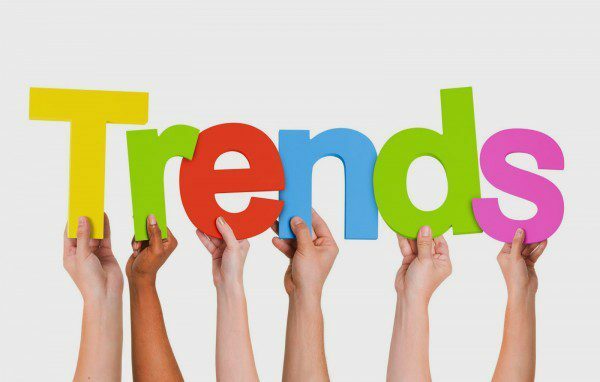 Here we look in more detail at those trends and what they mean for Compliance professionals. This is a theme we’ve identified before. Increasingly, the Financial Conduct Authority in the UK is encouraging firms away from a ‘tick box’ approach to compliance. The regulator wants a lighter touch when it comes to oversight and intervention. This means that firms need to step up; to take a proactive stance on compliance matters. Relying less on a regulation-led approach and more on firms taking responsibility for their own ethics and governance represents a step-change in the way compliance is managed. Financial services firms need to embed a compliant ethos throughout their business, rather than relying on checklists that ‘bolt compliance on’ at the end of their processes. In this model, Compliance teams do not just monitor or check adherence to regulations and guidance; they are responsible for ensuring this approach is deeply ingrained within the firm’s culture. This can be a challenge for firms that are used to compliance being something you overlay onto business as usual, rather than something deep-rooted within the corporate mentality. If this is something you’re struggling with, Perivan Solutions whitepaper on How to embed a compliance culture into your business has some useful tips. 70% of the organisations in the global Thomson Reuters survey expect the amount of regulatory information to increase in 2016. 75% of Boards in Europe, 60% of those in North America and 80% of those in the Middle East predict a ‘significant increase’ in compliance spending. Organisations also expect to dedicate increasing resources (time and/or staff) to compliance issues in 2016. Again, this supports other evidence we have seen that firms in the UK will be spending more on compliance in 2016. Perivan Solutions blog on compliance salaries and the increasing use of external consultants highlights the growth in regulation, resulting in a premium being paid for governance expertise. This trend goes in tandem with a shift in the Compliance professional’s remit. Compliance officers are increasingly being seen as strategic advisers to the business, rather than taking a tactical ‘policing’ role. The pace of regulatory change shows no sign of slowing. This will challenge firms already struggling to keep pace; more than a third of the firms Thomson Reuters surveyed already spend an entire day each week tracking and analysing regulatory change. The infographic details a long list of regulatory change from 2015, some global, some relevant to the EU or UK, and some specific to the US or Australia. This additional regulation significantly adds to the burden for Compliance teams worldwide. Personal liability is a growing theme. 93% of delegates questioned at a Thomson Reuters summit expected the personal liability of Compliance professionals to increase in 2016. Coupled with a continued move towards behavioural-based regulation and assessment of financial services firms, this again points to a need to create a deeply-embedded culture of compliance. Outsourcing to third parties is nothing new, but in the regulated financial services sector, it comes with added complexity. The infographic details the ways third party operations might expose firms to compliance risk. In the UK, the FCA is actively looking at this issue. The regulator’s consultation on outsourcing for regulated firms closed on 12 February and has given firms the chance to inform the regulator’s approach to third parties. In particular, it aims to clarify how regulated firms can make use of the cloud. Take a look at how regulated firms can make use of cloud-based technology has more detail on this. Any firm outsourcing to a third party needs to carry out robust due diligence on their potential provider. They also need to put in place suitable ongoing monitoring; a hands-off approach isn’t an option. Your firm still retains overall responsibility for compliance; it’s vital that you are confident in your outsourcing partners. Thomson Reuters have identified that regulatory protection for whistleblowing activity is increasing globally. ‘Ethical behaviour’ is fast becoming a buzzword within corporate governance. And when compliance is more focused on behaviours than checklists, it’s essential that employees feel safe in reporting wrongdoing. It’s also vital that they know how to report it. And firms need to have adequate training in place, both to enable employees to spot and flag up misconduct and to enable those receiving reports to deal with them correctly. The trends identified in this infographic indicate that 2016 will be another interesting year for compliance. There is no let-up in the pace of regulatory change, and with firms increasingly expected to police their own behaviour, Compliance professionals will be expected, more than ever before, to take a proactive approach. Their role in ensuring a compliant business culture will bring challenges – but also opportunities. With Compliance expertise in unprecedented demand, 2016 promises to be a rewarding year for those professionals willing to take up the challenge. If you’re experiencing change and challenge in your role, you might be interested in reading Perivan Solutions whitepaper on The changing role of the Compliance Officer. It has more detail on the changing expectations Compliance teams face, and ways to ensure your team meets and exceeds them. As well as cloud solutions, Direct Voice and Data offers a hybrid storage package, which provides storage on your premises with the option to migrate the data to the cloud at later date.